Affiliation: Kurokami Group and Hakoniwa Academy. Occupation: Group Head and Academy Chairwoman. Medaka is an incredibly beautiful and talented first year student. She became Hakoniwa Academy's Student President as she managed to get 98% of the student body's support. 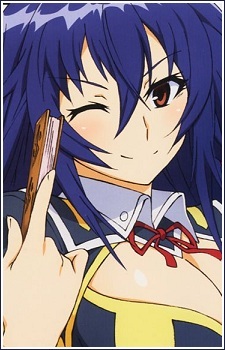 One of her pledges during her campaign was to set up a suggestion box (which later became known as the Medaka Box), along with her childhood friend Zenkichi, goes out to solve any and all problems that comes through. She is very confident and isn't ashamed of any part of her body at all. She is extremely intelligent and can understand all her subjects well. She has a positive outlook on everyone and everything surrounding her. Medaka sees it as her job to enhance the national prestige.